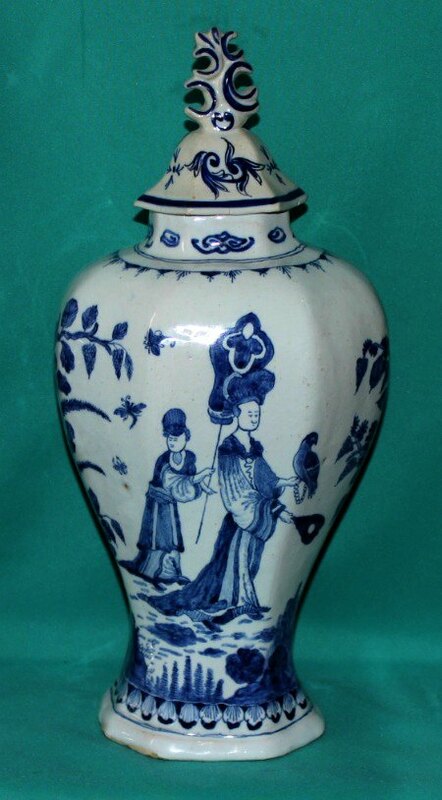 The Antique Porcelain Blog is our mini-journal about antique ceramics. It keeps you up-to-date with all additions and changes to our site. 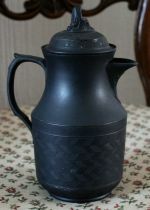 Continue reading "Leeds Pottery Black Basalt Jug "
Continue reading "Chamberlain-Worcester Porcelain Slop Bowl c.1797"
Continue reading " Coalport Porcelain Cabinet Plate c.1805-10"
Two German Porcelain Meissen Style Teabowls c.1770 (made for the Turkish market), decorated with bird and rock motif in coloured enamels and gilt. 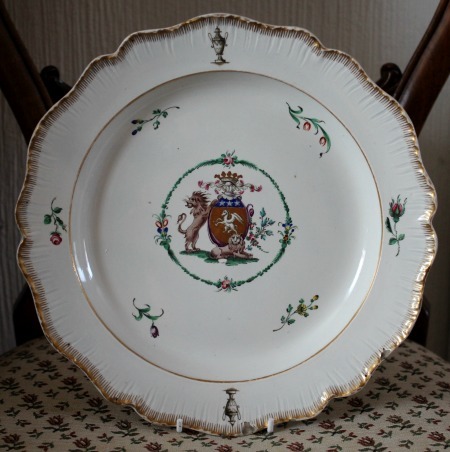 Continue reading "Two Meissen Style Teabowls c.1770 (made for the Turkish market)"
Rare Swansea Pearlware Plate by Haynes, Dillwyn & Co c.1802-10, white earthenware body, pearlware glaze, with feather edge, decorated with coat of arms (probably painted by Thomas Pardoe*). 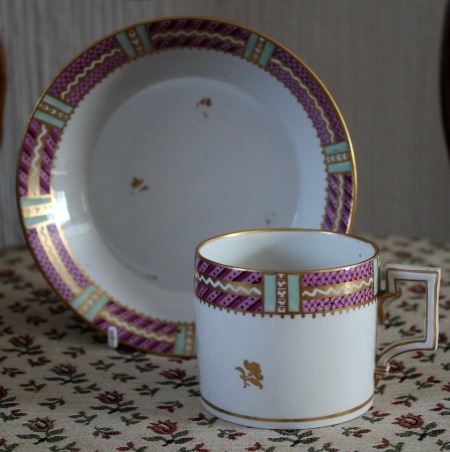 Continue reading "Rare Swansea Pearlware Armorial Plate, Haynes, Dillwyn & Co c.1802-10"
A Rare Chelsea-Derby Porcelain Coffee Can and Saucer c.1780, decorated in a rare pattern in coloured enamels and gilt. 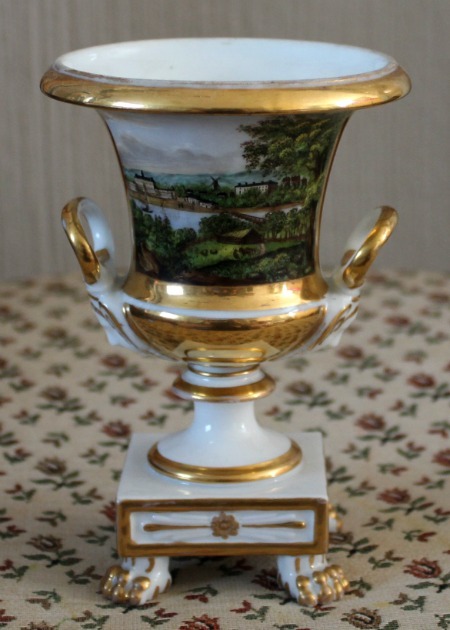 Continue reading "Rare Chelsea-Derby Porcelain Coffee Can & Saucer c.1780"
A fine Nymphenburg Porcelain Campana Vase c.1830 decorated with superbly painted topographical view. 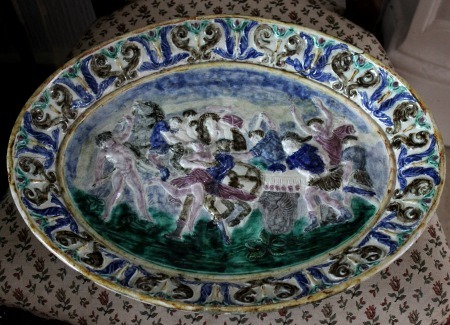 Continue reading "Nymphenburg Porcelain Topographical Vase c.1830"
A rare antique French Palissy Ware Dish, lead-glazed earthenware, depicting "The Abduction of Hippodamia"(possibly 19th Century). 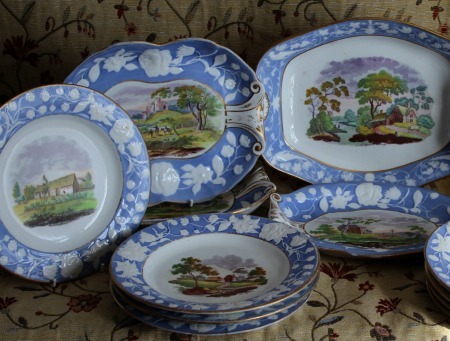 Continue reading "Antique Palissy Ware Dish"
Part New Hall Porcelain Dessert Service with relief-moulded border and bat-printed scenic designs, coloured by hand, c.1815-20. 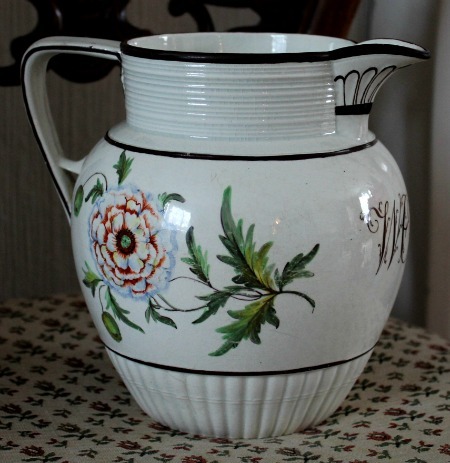 Continue reading "A New Hall Porcelain Dessert Service c.1815-20"
English pearlware jug c.1820, engine turned decoration and finely painted botanical stadies on both sides, monogrammed "WC" in brown. 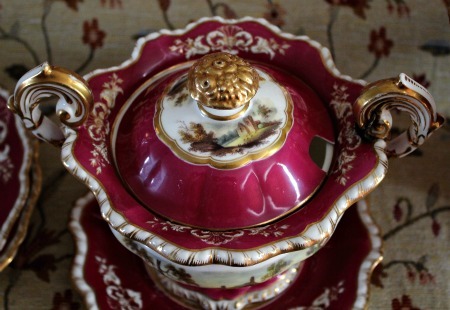 Continue reading "English Pearlware Botanical Jug c.1820"
Part English Porcelain Dessert Service c.1825-30, painted to the centres with views of homes and buildings in landscapes, with maroon and gilt enriched moulded rims. 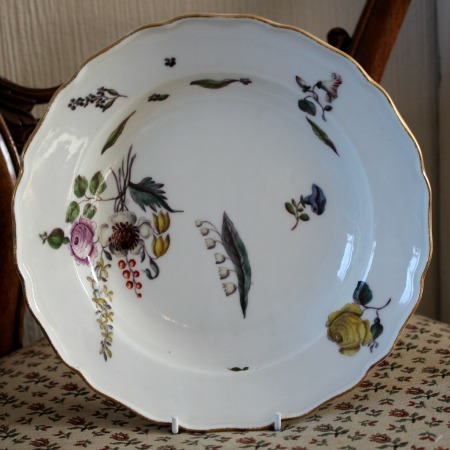 Continue reading "Part English Porcelain Dessert Service c.1825-30"
A fine Meissen Porcelain Plate c.1740-50, painted with a bouquet of scattered sprigs of roses, lily-of-the valley and other flowers, in upturned and shaped gilded edged rim. 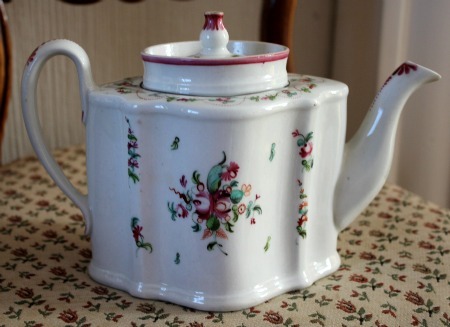 Continue reading "Meissen Porcelain Plate c.1740-50"
A New Hall Porcelain Teapot and cover, pattern 241, c.1795, hybrid hard paste body, silver shape, enameled in Chinese export style. 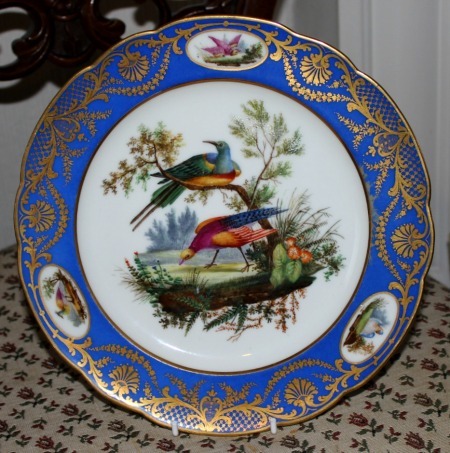 Continue reading "New Hall Porcelain Teapot, pattern 241 c.1795"
Continue reading "New Hall Porcelain (Page 2)"
A fine Paris Porcelain Ornithological Plate c.1810, the centre painted with exotic birds, perched on the branches. 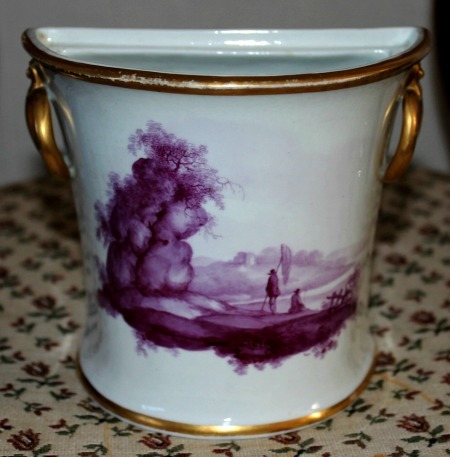 Continue reading "A fine Paris Porcelain Ornithological Plate c.1810"
A rare early Davenport porcelain bough pot, circa 1810-15 of 'D' section and ring handles, painted in purple monochrome with a picturesque landscape. 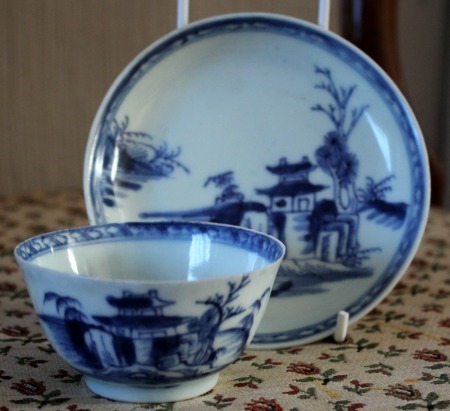 Continue reading "Davenport Porcelain Bough Pot c.1810"
Nanking Cargo Chinese Porcelain Teabowl and Saucer, painted in "Pagoda Riverscape" pattern c.1750. 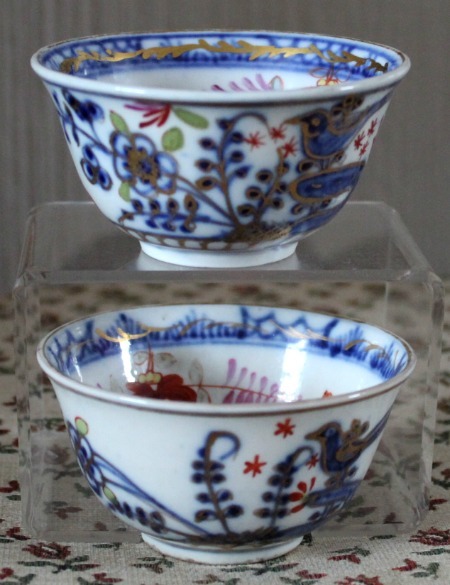 Continue reading "Nanking Cargo Chinese Porcelain Teabowl and Saucer in "Pagoda Riverscape""
A fine first period Worcester Porcelain Tea Caddy c.1765-70, hand-painted in Japanese Imari "Old Mosaic" Pattern, crescent mark. 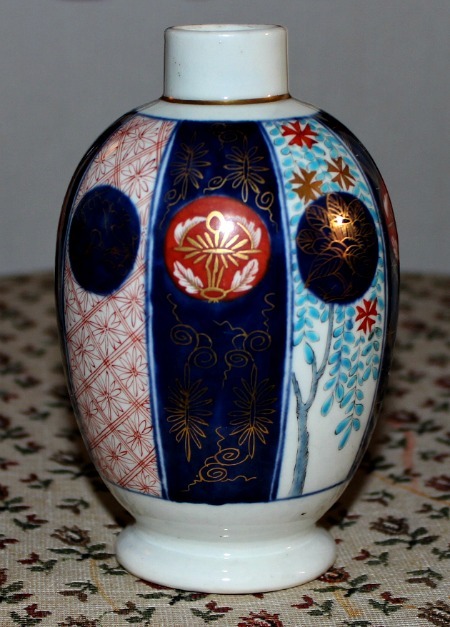 Continue reading " A Worcester Porcelain Tea Caddy, Old Mosaic Japan pattern c.1765-70"
18th century Dutch Delft Vase and cover, painted in chinoiserie pattern, depicting figures in a garden. Continue reading "18th Century Dutch delft Vase"
Continue reading "Antique Black Basalt Pottery"
A rare Derby porcelain plate, pattern 204, c.1795, the central circular panel painted, in the manner of John Brewer, with a 'Black on Moonlight' scene, supported by three scattered sprigs. 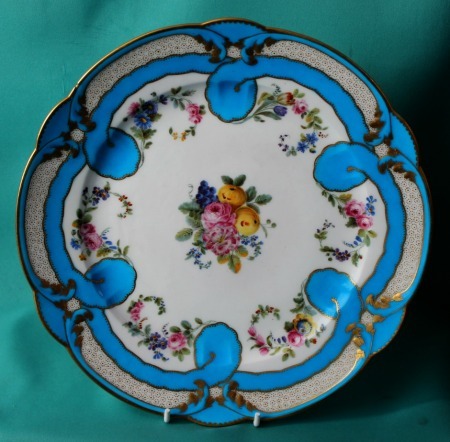 Continue reading "Derby Porcelain Plate, Pattern 204, c.1795"
A fine Sevres Porcelain Plate, 18th century, soft-paste body, painted with flower sprays within bleu celeste border. 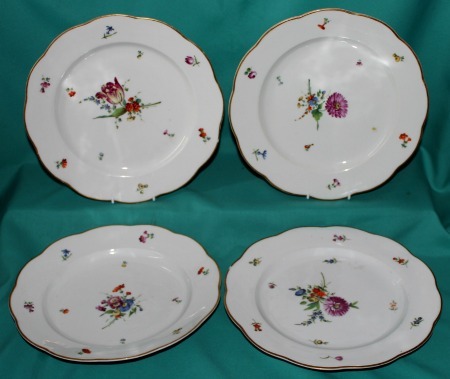 Continue reading "18th Century Sevres Porcelain Plate"
A set of four Amstel Porcelain Plates, painted with floral sprays in polychrome enamels, gilded rims. 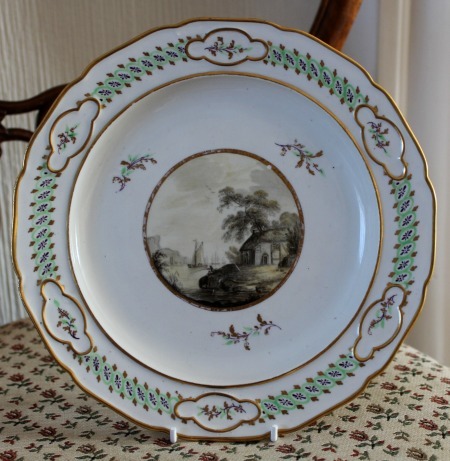 Continue reading "Amstel Porcelain Plates c.1780-90"